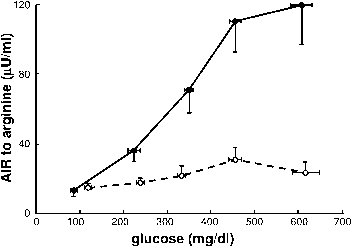 FIGURE 3.4 Supplementation of mice with eicosapentaenoic acid (EPA) in the diet reduces endogenous levels of F2-isoprostanes in the heart. formed in greater abundance than 8- and 12-series molecules.79 At least part of the reason is likely due to the ability of precursors of 8- and 12-series F2-IsoPs to undergo further oxidation and cyclization to yield a novel class of compounds termed dioxolane-endoperoxides.80 Although undetermined at present, it is likely that a similar mechanism may account for the predominance of 5- and 18-series F3-IsoPs. Interestingly, the levels of these compounds generated from the oxidation of EPA significantly exceeded those of F2-IsoPs generated from arachidonic acid, perhaps because EPA contains more double bonds and is therefore more easily oxidizable. Furthermore, in vivo in mice, levels of F3-IsoPs in tissues such as heart were virtually undetectable at baseline but supplementation of animals with EPA markedly increased quantities up to 27.4 ± 5.6 ng/g heart. Of particular note, we found that EPA supplementation markedly reduced levels of arachidonate-derived F2-IsoPs by up to 64% (p <0.05; Figure 3.4). This observation was significant because, as discussed throughout this chapter, F2-IsoPs are generally considered to be pro-inflammatory molecules associated with the pathophysiological sequelae of oxidant stress. It is thus intriguing to propose that part of the mechanism by which EPA prevents certain diseases is its ability to decrease F2-IsoP generation. In addition, it suggests that supplementation with fish oil may be of benefit to populations associated with increased levels of F2-IsoPs, including the overweight and obese.